Palmia Observatory: Last attempt to see the northern lights before flight from Fairbanks; OC Super Moon peeks through clouds; The Sun has a Spot! Where will you watch the 2020 total solar eclipse? Last attempt to see the northern lights before flight from Fairbanks; OC Super Moon peeks through clouds; The Sun has a Spot! Where will you watch the 2020 total solar eclipse? 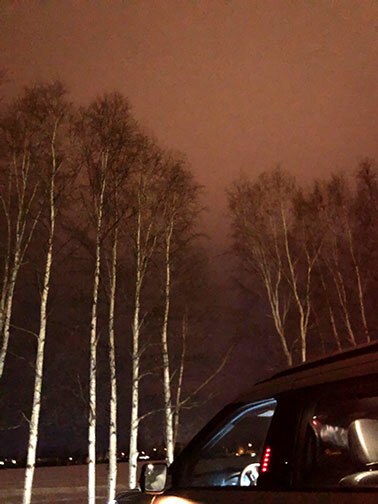 drove a relatively dark location in Fairbanks, called Creamers Field. It is only 4-5 miles from our hotel and we spent a couple of hours there waiting for the clouds to part. But no such thing was going to happen. 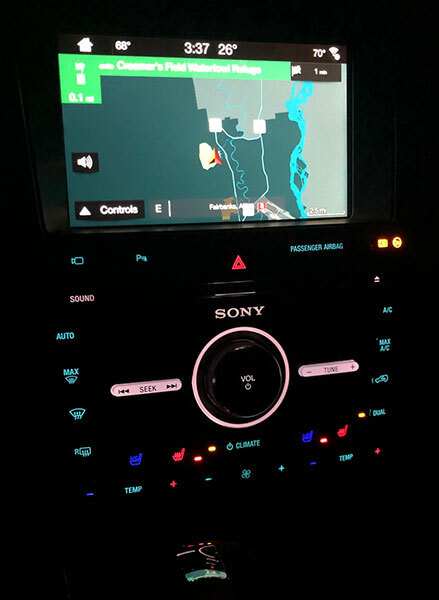 When we started the car to get a little heat back in our bones, the GPS indicated it was just 26 degrees and we had been waiting for over an hour. 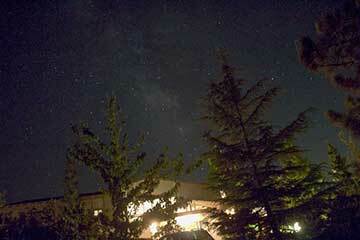 When we left the hotel, I could just barely make out one visible star, but even that was quickly covered up. The image below shows that the sky was completely overcast, not even the 60% coverage which the forecast said. Drats! Missed the lights again on our final day in Fairbanks! So, its back to the hotel for a little breakfast and checkout and on to the airport. 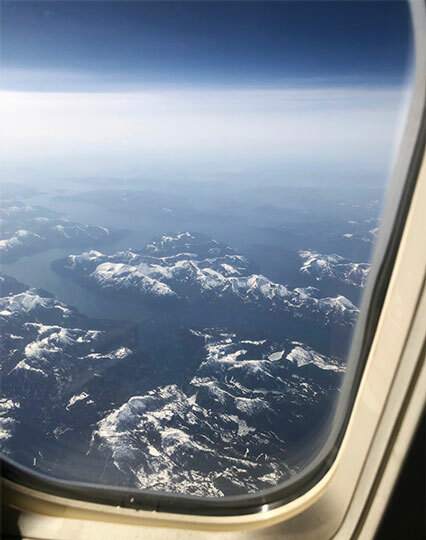 We had beautiful, carefree flights from Fairbanks to Seattle and then on down to John Wayne Airport. The rugged snow capped mountains were beautiful all the way down. There were some other beautiful view of snow capped cinder cones, but I was reluctant to wake the sleeping passenger in the window seat to move his head out of the way! The image below is just outside the Fairbanks area and is part of the reason that Alaska is said to have over a 1000 rivers and over a million lakes. Wow, no wonder, one of the signs outside of the waterfront restaurant said to "Beware of the Blood Bandits!" Well, during the winter we weren't worried about mosquitos, but the sights were absolutely gorgeous! Back in OC it is Super Moon time and the weather here might actually be on our observing side. The full moon was going to occur on March 20, and our colds that we picked up in Alaska, probably due to too much cold, too little sleep and maybe even too many martinis, was beginning to really weigh us down. 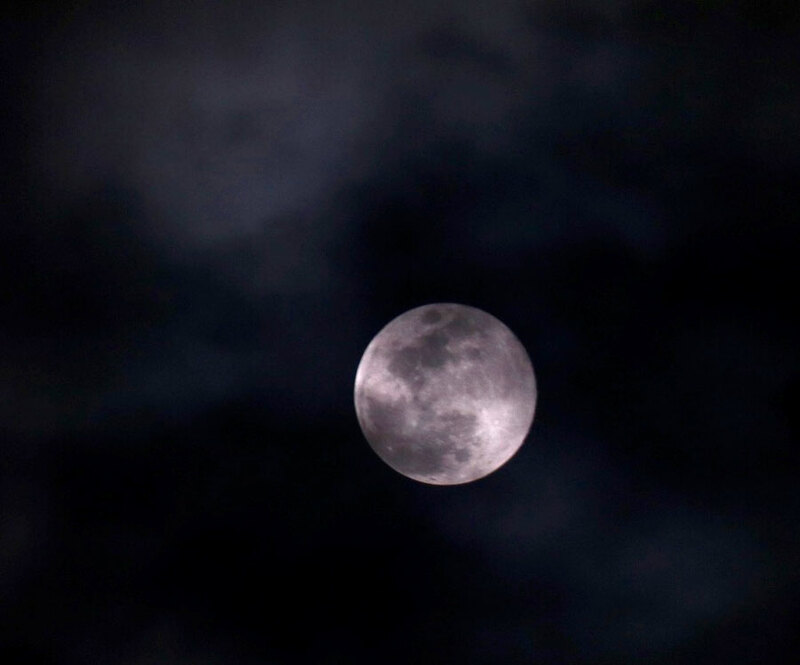 So I delayed unpacking my camera and hoped for clear weather just on the night of the full moon. Outside I could see the moon through the trees, but the clouds where getting in the way. I managed to get at least this one photo just after a major cloud had passed in front of the full moon. On the next day, I had just enough energy to take on shot at the sun to see if any sunspots are showing up yet. The sun has been so quiet. 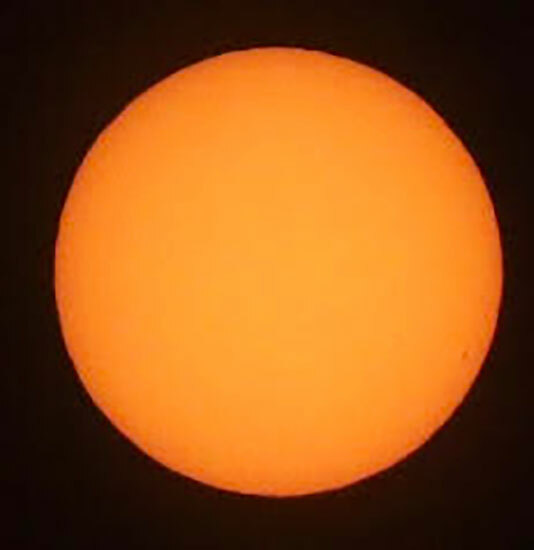 Hey, yes there is a bit of a sunspot visible at this time. Check out this blown up, 200mm DSLR image below. 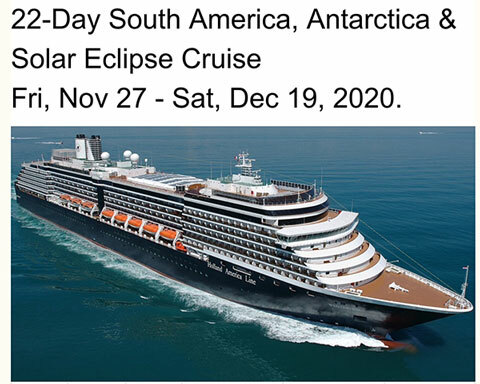 Sadly, just as we are getting excited about potential planning for the 2020 total solar eclipse, we get news of the propulsion system failure aboard the Viking Sky cruise ship off the coast of Norway. We were just on the Viking Sky during our search for the northern lights in February. We were disappointed about not seeing the lights then, but that safe outcome was better than the experience the passengers and crew are going through now. We have seen news videos showing how the ship is being tossed about without propulsion and we saw images of chairs sliding back and forth across the floor in the Explorers Lounge. The shoreline is so rocky and dangerous during normal operations and without propulsion even more so. Airlifting passengers ashore is ongoing! Hope all gets resolved safely!